So, you plan a destination wedding on one of the Islands of the Bahamas. 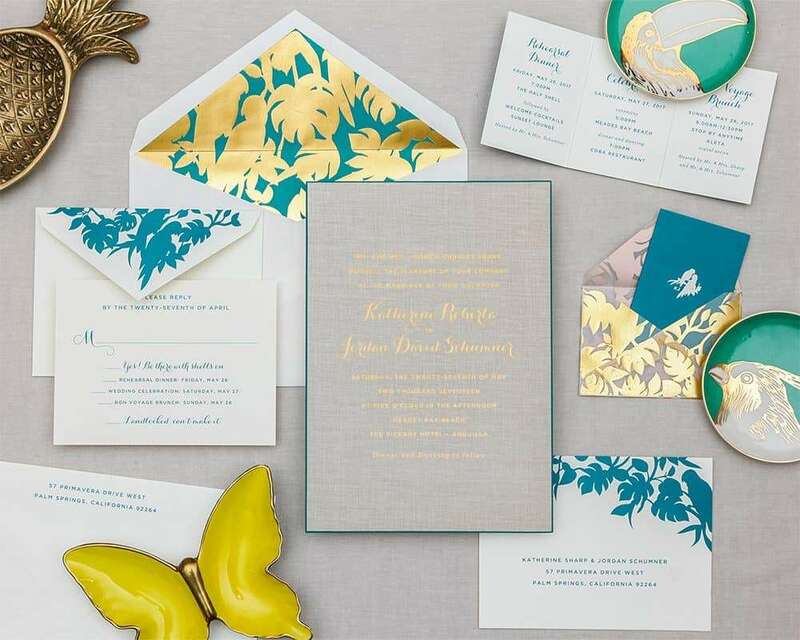 Naturally, with such an event planned, tropical-inspired invitations come to mind. Crystal clear jewel toned waters, powdery white sand beaches and the excitement of the weekend celebration come to mind, too. This all needs to be shared with your family and friends. Moreover, painting the colors of the tropics and the fun weekend ahead is a must for your tropical inspired invitation as well. 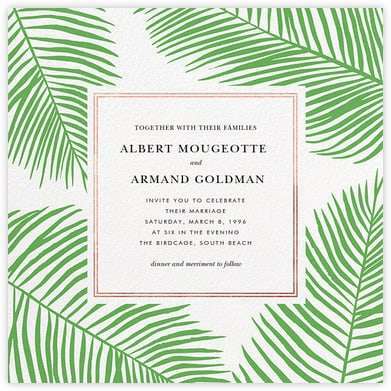 Enjoy our selections for tropically inspired wedding invitations. 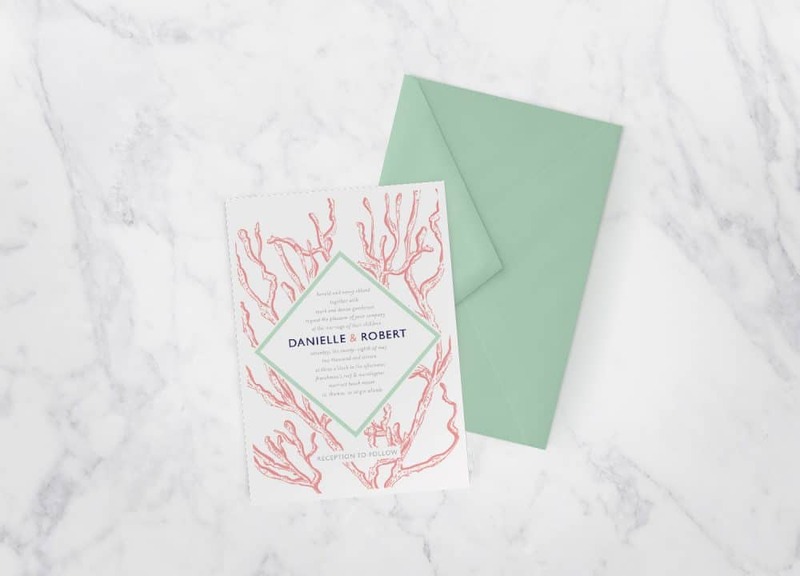 Let your wedding stationery suite echo the breezy vibe of the Bahamas! 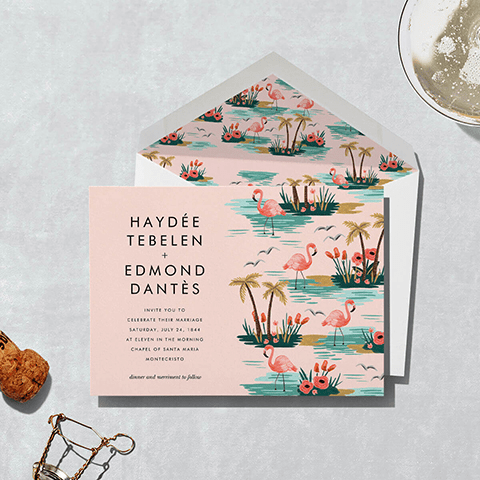 Flamingo Lagoon Invitation by Rifle Paper Co. for Paperless Post, flat printing starting at $1.81/ea. Modern Coral Invitations with options for custom colorways and gold foil printing, price upon request, Kelly Ashworth Design. Palmier III Invitation, options for different colorways and foil stamping, Paperless Post, starting at $1.80/ea. 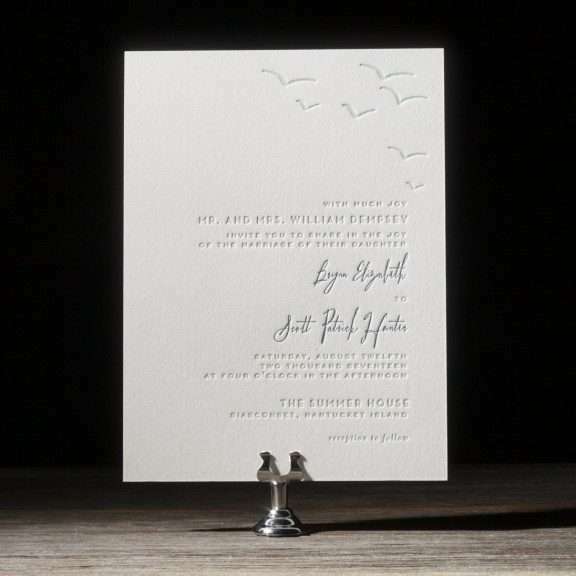 Waterfront by Courtney Jantzen for Bella Figura, a letterpress on luxe card stock. Visit the site for all pricing options. Tropical Herald Wedding Invitation by Lady Jae from Wedding Paper Divas. 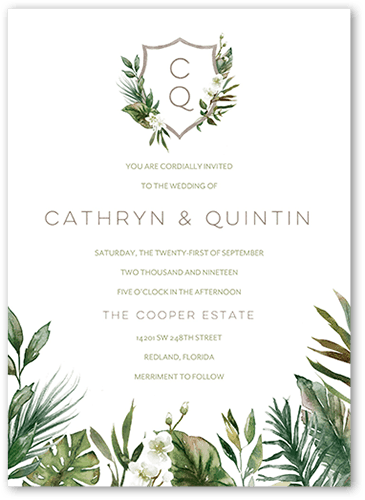 Tropical Herald Wedding Invitation features flat printing with three color options. Lady Jae for Wedding Paper Divas, starting at $1.89/ea. 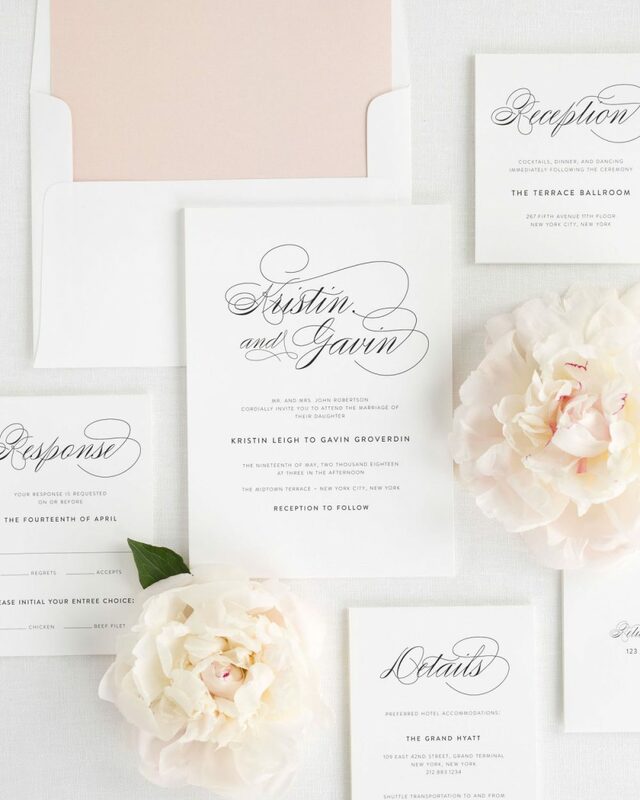 Script Elegance Wedding Invitations, options for flat printing or letterpress and various styles of envelope liners, Shine Wedding Invitations. Palm Love Bomb, foil stamping on luxe linen paper, Cheree Berry Paper. Pricing starts at $22.50 for 100 sets. 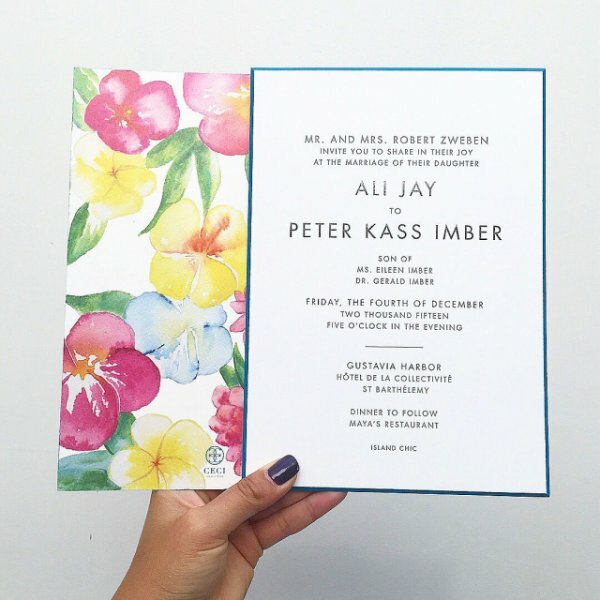 What can we say about these Ceci New York custom tropical watercolor invitations? Gorgeous! Ceci New York pricing is available upon request. Chic Bahamas Weddings works with the very best stationery brands to ensure your guests receive the most stylish and informative wedding stationery. Contact us today to begin planning your destination wedding in the Bahamas.